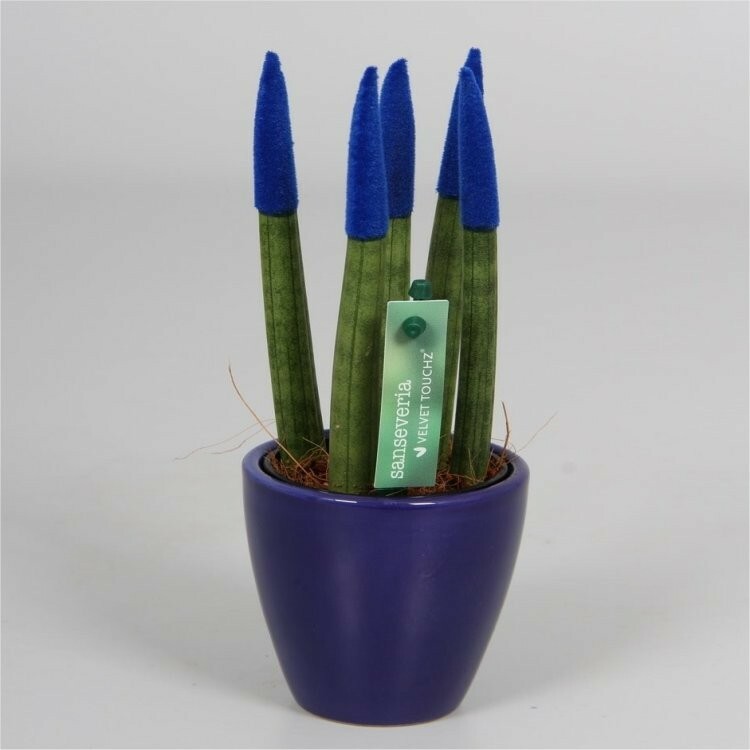 If you're looking to stand out, then these eye-catching Sansevieria cylindrical succulent plants will fit the bill. Highly decorative, with a bold upright shape, and brightly coloured velvety tips in an array of bright colours, thesestrong plants are sure to attract attention. Very tough and easy to care for, they require very little attention, so are perfect for those that occasionally forget to water their plants! Perfectly happy just sitting on a brightly lit windowsill, wherever you decide to put them, they are sure to attract a few second glances for the unusual look alone. Supplied as pictured, completed with their own ceramic pots to match the plants own colour accordingly. Overall height on delivery of around 18-20cms.